Welcome to our new weekly blog feature, The Week in Computer Music, where we present an off-the-cuff rundown of the stuff that's caught our eye over the last week or so. 8-bit warriors ought to check out Plogue chipsounds (8/10, cm147), which has just been updated to v1.5. New features of this retro computer/console/arcarde sound chip emulator include a totally different skin and three brand new chip emulations. Peep the video below - it's bleepin' great! It's unlikely that you missed Apple's recent announcements: iTunes 10 (incorporating the music-centric Ping social network), iOS 4.1, and all-new iPods, including a new iPod touch. Apple's competitors aren't resting on their laurels, though, with Samsung generating a lot of interest in their 7-inch Android-based Galaxy Tab tablet device, which will intrigue those who can't stomach the price/Appleness of an iPad. 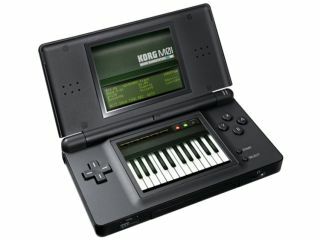 Still on a mobile music tip, Korg announced M01 for the Nintendo DS, which is essentially the classic Korg M1 workstation stuffed into a handheld gaming console. Other notable releases include Sugar Bytes' Guitarist, MOTU MasterWorks Collection a bunch of MeldaProduction stuff, and a little something from Native Instruments called Komplete 7.